Le Magasin de Stanley is a cute little French Epicerie Fine, the type of store that transports you back in France as soon as you pass the door. 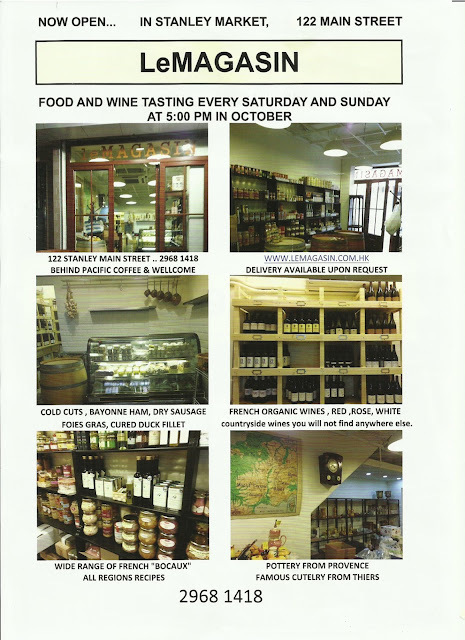 Traditional and regional hand-made French recipes in glass jars and tin cans (like Cassoulet a la graisse d'oie, Petit Sale aux Lentilles, Blanquette de Veau and Langue de Boeuf, just to name a few) mingle with all sorts of Charcuterie delights (saucisse seche, saucisson, pate, terrine, etc) as well as a small but very interesting and well priced selection of organic and biodynamic wines, that includes white, red, bubbly and even sweet wines. 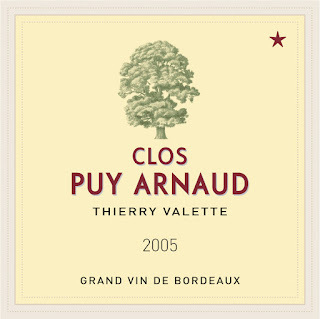 Clos Puy Arnaud crafting Merlot and Cabernet Franc based reds from vineyards planted atop of a hill in the Cotes de Castillon, orchestrated by Thierry Valette, a talented winemaker by passion and musician for pleasure, who has utmost respect for organic and biodynamic methods and apply them with extreme conviction on his lands. From the tower above his house, he has a unique view of the whole appellation where he contemplates Mother Nature do what she does best. Despite the fact that I was selling them for years when I was in New York, the wines of Thierry are somewhat quite sentimental to me as they were the wines I bought at the estate for my wedding (that occured in the Citadelle de Blaye). Les Trois Petiotes, a small winery recently established in the Cotes de Bourg, in the village of Tauriac, by Valerie & Denis Godelu, producing wines from 3 small "parcelles" (vineyard lots): 1 hectare of Merlot, 1 hectare of Cabernet and 1 hectare of Malbec, which partly inspired the name "Les Trois Petiotes" ("the 3 small ones"). They also have 3 daughters, the last one being born the same year as the winery in 2008, which explain the other part of this very inspired name. Valerie and Denis are totally dedicated to their family life, their daughters and their wine adventure. These "Neo-vignerons" as they categorize themselves are making wonders in that small appellation dear to my heart, which has proudly reamined outside of the new Cotes de Bordeaux appellation and enjoy a deserved renaissance since the last 8-10 years, especially with new comers like the Godelu family to reboost and rejuvenate the appellation. This winery is also quite sentimental to me as I grew up in my grandfather vineyards only a few kilometers away in the village of Comps (the locals will know). 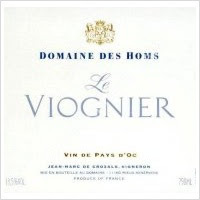 Domaine des Homs, last Saturday "Le Magasin" opened a bottle of 2011 Viognier, which was really good: floral, bright, zesty, balanced, refreshing and fleshy without being heavy. I loved it. We also had the Red from this little winery located in the Minervois, a reputed appellation of the western Languedoc. This Domaine of 20 hectares belonged to the De Crozals family for the past 3 generations. Today, Jean-Marc and his wife, both graduates from the Université Internationale du Vin de Suze-la-Rousse, craft with passion and conviction their wines that are all produced under strict organic methods certified ECOCERT. Their goal is to produce wines of terroir. 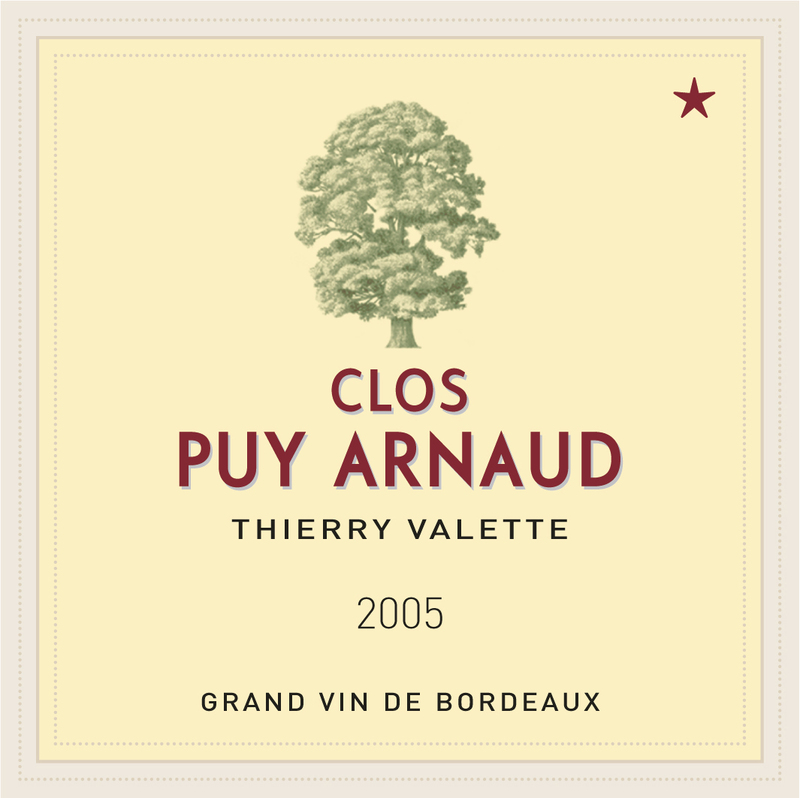 Complex wines with mineral structure, well balanced between richness and freshness, power and elegance. Terroir wines reflecting of the nutritive elements of the soil, grape variety, climate as well as the character and "savoir-faire" of the people crafting them. Jour de Fete, produced by Vincent et Marie Tricot located in Orcet, was also opened last Saturday: nice, gentle, easy to drink, with refine bubbles and a touch of residual sugar that add light sweetness to this excellent example of a sparkling wine made with Gamay from a lesser known region situated south of the Loire, in the heart of France: Auvergne. They possess about 5 hectares of vineyards, vinified under Organic method, certified AB (Agriculture Biologique), planted with Pinot Noir, Chardonnay and Gamay. No website but you can always read more about them on the excellent and informative website (or blog?) of www.wineterroirs.com or if you prefer to read in French, go to Vignerons d'Orcet. This is a small glimpse of their wine selection. More labels await you at the back of the store where the wine cellar is located. Le Magasin is definitely the place to check out if you are tired of browsing the uninspiring shelves of your local supermarket. Nestled in the heart of Stanley market, this discreet and slighty hard to find hole-in-the-wall store also encompasses some hand-crafted kitchen and table useful tools like artisanal table knifes (from one of the "Coutellerie(s)" of Thiers), as well as hand-made colorful pottery dipper dishes and plates (among other things) from Provence, that make excellent gift ideas. To find it, take Stanley new main street like if you were going to the market, then turn left at the Haagen-Dazs sign, in the litlle street with the stairs, climb them and go straight, Le Magasin will appear on your left hand side shortly after, but look carefully as it is not obvious to see the first time. Open for the past few weeks, it is run by a dynamic and friendly team, Jean-Charles, the owner, and his friend Michael, store manager, who will welcome you with open arms and smiles. And the wine tasting on week-end starting at 5pm suddenly makes this store even more sympathetic. 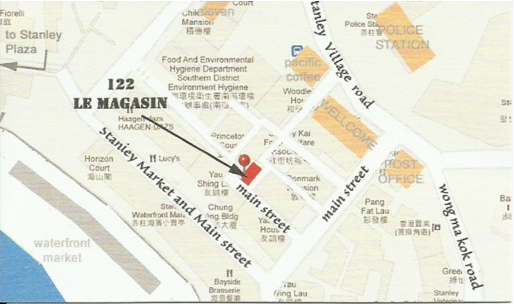 Along with more established French pioneer Hong Kong stores like "Monsieur Chatte" or even "Chez Patrick", "Le Magasin" is a nice addition to the Hong Kong French market scene and one more reason to go to Stanley. Their website is still under construction as they just opened, but should be available soon. The opening of such a store once again firmly establish and confirm (for both locals and expats) the growing interest in French culinary culture and tradition as one of the best and most appreciated in Hong Kong (and the rest of the world, if I may say, but this is my French side speaking).